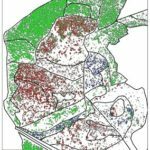 Ecolo-GIS technology enables forestry experts to complete large scale mapping and surveys, and also provides them with a tool for forest management. 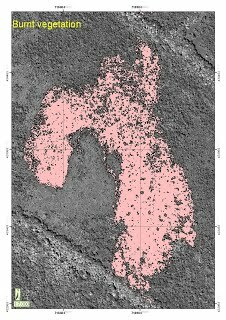 The spatial analysis integrates data from many sources including satellite imagery, aerial photography, field surveys and wildlife and botanical studies. Land use and Land Cover (LULC) surveys, together with change detection, are employed to manage natural forest, wood plantations, reserves and parks. Satellite and aerial imagery are acquired according to project requirements. Versatility and flexibility in imagery data sources allows Ecolo-GIS to provide the most suitable information for each project. 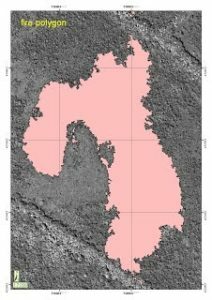 Images are classified, using supervised classification techniques, to generate GIS covers that provide information over space and time. Spatial data is stored and managed within a cloud GIS environment, to facilitate monitoring and collaboration between decision-makers. Unique visualization technology supports effective ecosystem monitoring, decision-making and information dissemination. The Ecolo-GIS team includes experts in the fields of ecology and economics. Together they provide detailed recommendations on project and site management; how to minimize conflict with the surrounding environment, improve sustainability and promote conservation. IFC “Equator Principals” and other international conventions are consulted and utilized to supplement project finance. The management package is available as a modular or turnkey solution. Mana gers can monitor forest development using forest cover mapping. Orthophotos and satellite images map forest canopy cover and can be used to estimate percent cover in forest stands. 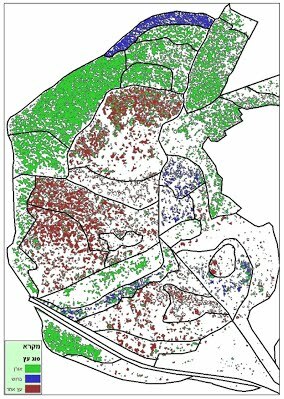 Forest cover is mapped using supervised classification techniques in a GIS environment. Specific indexes, processes and procedures are developed during the classification process. The result is a highly accurate classification of forest canopy. The image on the left demonstrates classification and canopy cover mapping of a planted forest. It is from an orthophoto with pixel size = 1m, and shows the classification result. The forest canopy cover was divided into three tree types: pine (green); cyprus (blue) and other trees (brown). Ecolo-GIS has developed methods to delineate and map clear-cut patches in the Amazon Forest, using satellite images or aerial photography. The mapping can be used to monitor clear cutting as a result of illegal logging, or to identify illegal cropping in the jungle. 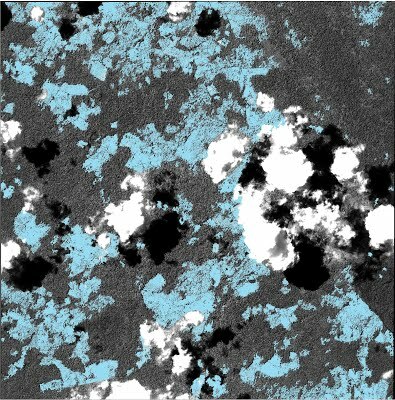 The image shows clear-cut patches in the Amazon Forest (blue patches) that were identified using supervised classification methods to create a GIS cover. The project was conducted using ISI satellite imagery. Fires have an important impact on forest ecosystems. Ecolo-GIS developed methods to delineate and map burnt patches in forests using satellite images (EROS satellites) or aerial photography. This mapping can monitor burnt areas, determine fire impact on forest ecosystems and evaluate ecosystem recovery. 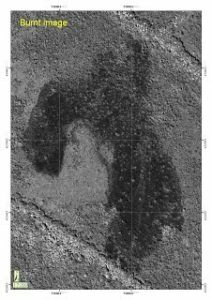 The images demonstrate mapping of burnt patches in the Central African Republic savanna. The images show the burnt area (left), delineation of the burnt area (center) and differentiation between the burnt grasses of the savanna and the non-burnt trees (right). Project conducted with Icaros GeoSystems Ltd. Satellite images taken by ISI. COPYRIGHTS © 2016 Ecolo-gis All rights reserved.